La reinita cerúlea y chipe cerúleo (Setophaga cerulea) es una especie de avepaseriforme de la familia de los parúlidos que vive en América. Es una especie migratoria, que cría en América del Norte y pasa el invierno en América del Sur. Los adultos miden entre 11 y 12 cm de longitud. Hay evidente dimorfismo sexual y cambios con la edad, pero no cambios estacionales en el plumaje. Los machos tiene la cabeza y las partes dorsales predominantemente azul cerúleo. Sin embargo, los costados del cuello son blancos, las mejillas pueden tener cierto tono grisáceo, y puede haber algún esbozo de línea supraocular blanca. En la espalda hay rayas negras. 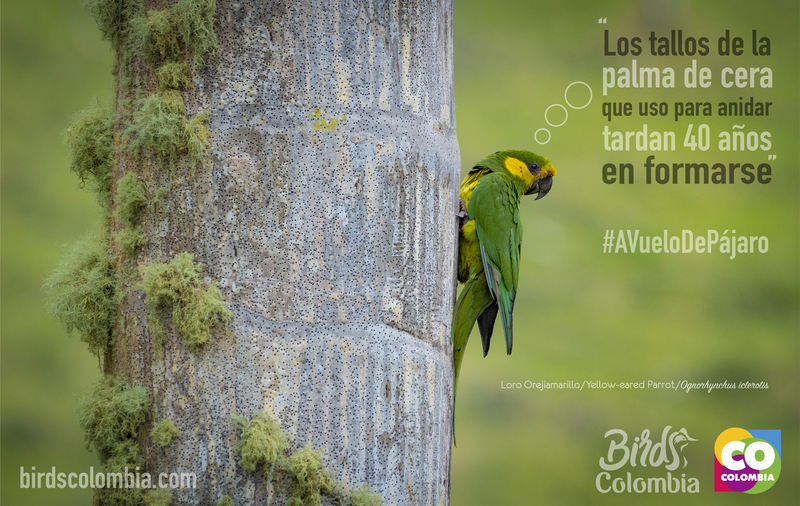 En alas y cola hay plumas negras en las partes distales. En cada ala hay dos rayas blancas, y en la cola también hay algunas manchas blancas. Las partes ventrales son predominantemente blancas, pero en el pecho hay un collar azul oscuro que puede o no cerrarse, y en los costados se presentan rayas azules o negras. Las hembras tienen la cabeza y las partes dorsales de color verde azulado. El supercilio es blanco. Las partes ventrales con amarillo limón con algunas manchas oscuras a los costados. Los juveniles son similares a las hembras adultas. El chipe cerúleo anida en bosques mixtos del oriente de América del Norte. Es una especie migratoria que viaja a través del Golfo de México, el Caribe y América Central, para pasar el invierno en bosques de montaña del noroeste de América del Sur, principalmente en la Cordillera de los Andes. The cerulean warbler (Setophaga cerulea) is a small songbird of the New World warbler family. Adult males have pale cerulean blue and white upperparts with a black necklace across the breast and black streaks on the back and flanks. Females and immature birds have greyer or greenish upperparts, a pale stripe over the eye, and no streaking on the back and no neck. All of these birds have wing bars and a thin pointed bill. They are found in deciduous forests of eastern North America during the breeding season and then migrate to forested mountain areas in South America. The species is considered threatened with an IUCN status of Vulnerable (VU), indicating it is considered to be facing a high risk of extinction in the wild. Adult males have pale cerulean blue upperparts and white underparts with a black necklace across the breast; they also have black streaks on the back and flanks. Females and immature birds have greyer or greenish upperparts, a pale stripe over the eye, and no streaking on the back and no necklace. All of these birds, regardless of their age, have wing bars and a thin pointed bill. Their breeding habitats are mature deciduous forests in eastern North America. They migrate to spend the boreal winter in forested mountain areas in South America. They forage actively high in trees, sometimes catching insects in flight. These birds mainly eat insects. Their nests are cup-shaped, and are placed on a horizontal branch high in a hardwood tree. The song is a buzzed zray zray zray zray zeeee. The call is called a slurred chip. The cerulean warbler is the fastest declining neotropical migrant songbird. Among the many threats they face, their wintering habitat in the northern Andes is dwindling rapidly. Cerulean warblers depend on shade coffee plantations during the winter. This traditional farming technique is at risk as coffee prices fluctuate and pressure to switch to higher-yield sun coffee or other crops intensifies. In fragmented forest areas, this bird is vulnerable to nest parasitism by the brown-headed cowbird. This bird’s numbers are declining faster than any other warbler species in the USA; its population in 2006 was less than one-fifth of what it was 40 years before. The American Bird Conservancy (ABC) is working with its Colombian partner, Fundación ProAves, to protect wintering habitat for cerulean warblers and other migrating songbirds. Together they have created the Cerulean Warbler Bird Reserve, the first protected area created for a neotropical migrant. In an effort to advance protection of the cerulean warbler, ABC and its South American partners (Fundacion ProAves, ECOAN and Fundacion Jocotoco), in 2009 produced a Cerulean Warbler Wintering Ground Conservation Plan. The cerulean warbler has been recorded as a vagrant to Iceland. John James Audubon illustrates the cerulean warbler in Birds of America (London, 1827–38) as Plate 48 where two birds are shown perched in a bear berry bush. The image was engraved and colored by Robert Havell’s London workshops. The original watercolor by Audubon was purchased by the New-York Historical Society where it remains to this day (March 2009). Jonathan Franzen uses the cerulean warbler as a plot device in his 2010 novel, Freedom. In the episode “The Big Picture” of the Curious George TV show, a book about the cerulean warbler by The Man in the Yellow Hat is published. George tries to help The Man distribute the book. Publicado en Migratoria, ParulidaeBookmark the permalink.